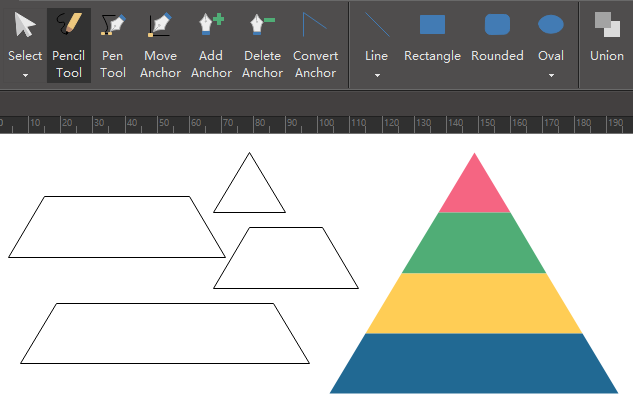 Buit-in pyramid shapes for infographic design simplifies the infographic drawing process a lot. Edraw infographic software is such a program that once you buy it, almost all the drawing problems can be solved once for all. It provides various pyramid shapes and other infographic elements for users to drag , drop and edit for different situations. 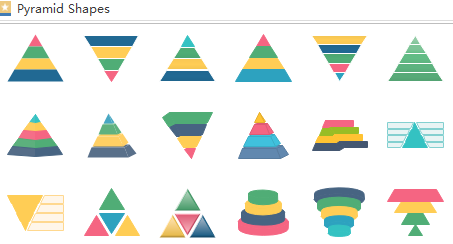 There is a set of drawing tool prepared by Edraw for users who do not like these pre-made pyramid shapes so much. They can just choose the drawing tool they like and design their own pyramid elements. If you are still puzzled about how to use these elements, just see below example of pyramid shapes application and learn from it. Want to use the above pyramid elements in your infographics? Download Edraw Infographic Maker! It includes a large variety of pyramid shapes which are easy to modify. Design a wonderful infographic is just a few click away. Try it now!